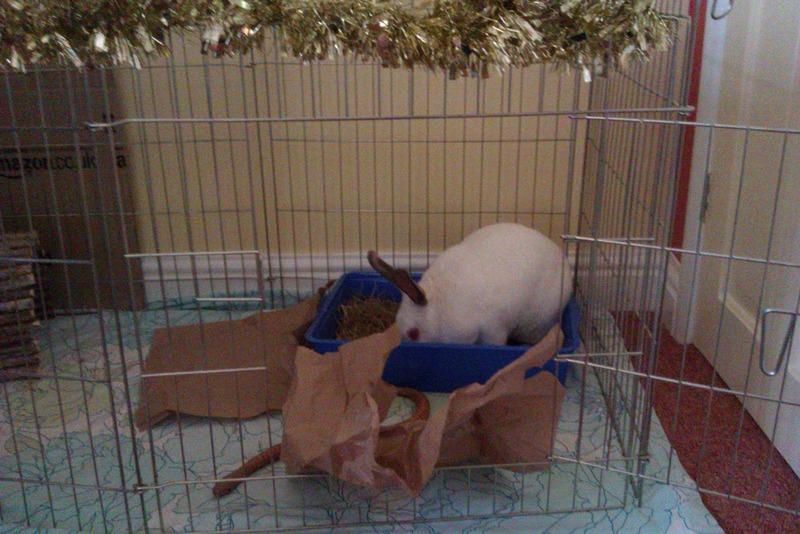 Speedy the cheeky house bunny: Christmas Count down 8th December!Yippee another day closer!! Christmas Count down 8th December!Yippee another day closer!! Today is 8th December and its another day closer to Christmas Day!!Yippee! So its the final dash to get you Christmas trees up and your decoration looking all pretty and the gifts all wrapped....Are you ready yet?Mummy says's nearly just a couple more gifts to get and wrap! And here's my pal Freddie the Gerbil he like to ride on my back while I zoom really fast and go on adventures with our friends! My Christmas count down will continue with the last of the entries being posted on 24th December!So what are you waiting for get your Trees up and your other decorations too and join in the fun in getting your cameras out,send your photo's to me at rachel dot dejong28 at googlemail dot com ,and if you can get your selves in the photo's to that would be great! 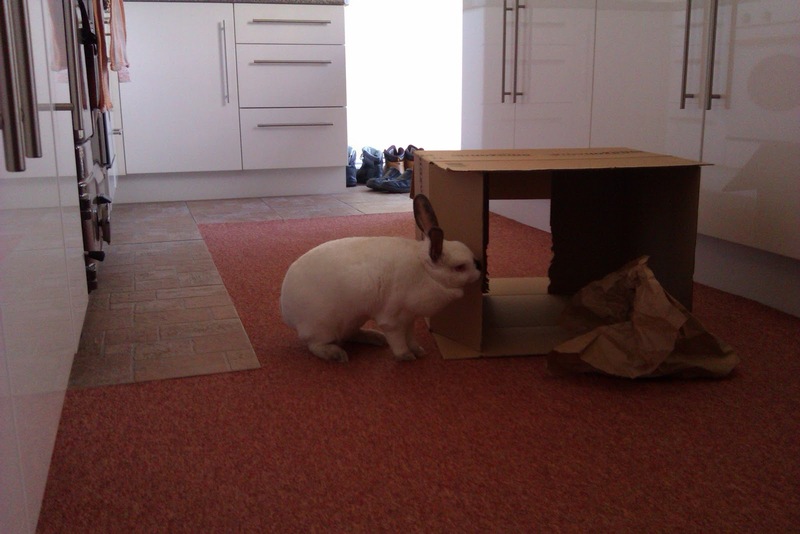 I thought you all would like to see me having fun with my new play pen and my box too! And me pooped after a hard day playing! And to top it all we have had over 1000 page views too!Thank you to you all! Tis the season to be Speedy!!! Great pictures pal! Gosh you are so very handsome.. and very silly! Aww Freddie is such a cutie! Love the picture of you rolling around, looks like fun. 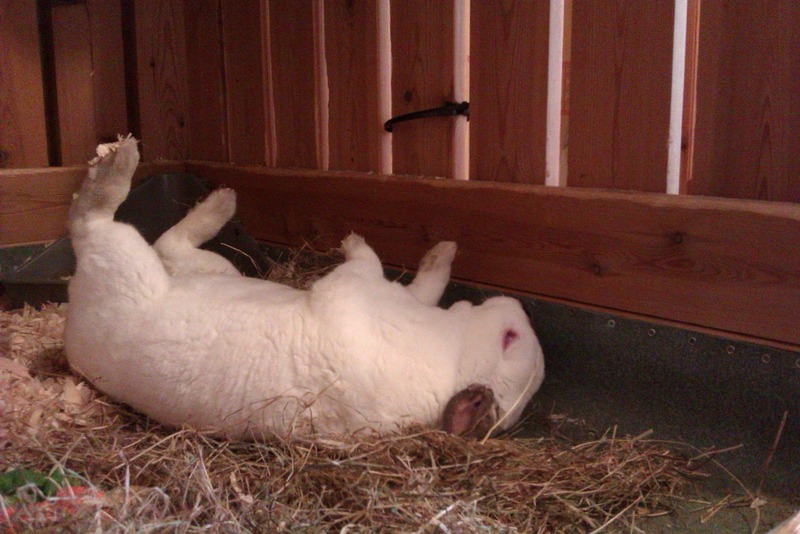 You know when a rabbit rolls like that, then lays on his back, it means they are happy and relaxed and feel at their safest. It is a HUGE compliment to his homelife and bunny parents because it is VERY rare for a bunny to let down their guard enough to relax like this!!! You and Nick are doing something very very right! Proud of you guys and LOVE seeing my Speedy all chilled out ad happy and feeling safe and snuggly!!! I love seeing everyone's trees and furry friends. Double Dittos to what Brandi said! Hi Speedy, it is nice to meet you. I was just over at Glogirly's blog and read that you won a cool graphic that she designed. Congratulations! I like that photo of you laying on your back. I sleep like that sometimes. 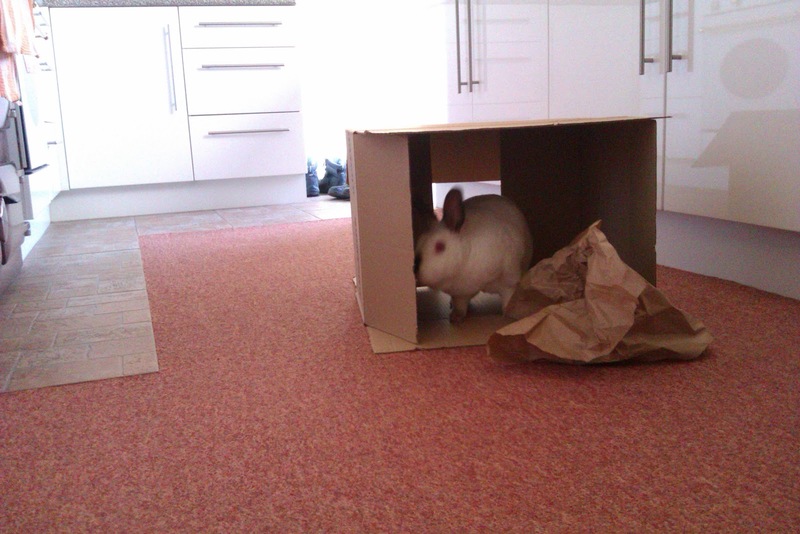 I'm afraid if I saw Freddie, I might have to chase him! Hey, Speedy. We were visiting Katie and Glogirly and saw you won. So we came by to say congrats. We've got our tree up and we're doing our best to undecorate it! HAHA!! You should enter you tree! Speedy, great pictures! We LOVE that last one! Looks like you've been having a great time. Speedy, you are soooo beautiful, love the pic of you rolling on your back!! Hahaha!! I love Speedy on his back!! So cute!!! You look properly warn out - bless!